Although there was growing criticism of the Church in the 15th century, the Pope’s authority was still recognized. Up to that period, the Papal Court had improved its standing somewhat, especially through the efforts of Popes Nicholas V (1447-55), and Pius II (1458-64). A cornerstone of religious practice was the Book of Hours, a devotional work that almost every ‘good’ house owned. 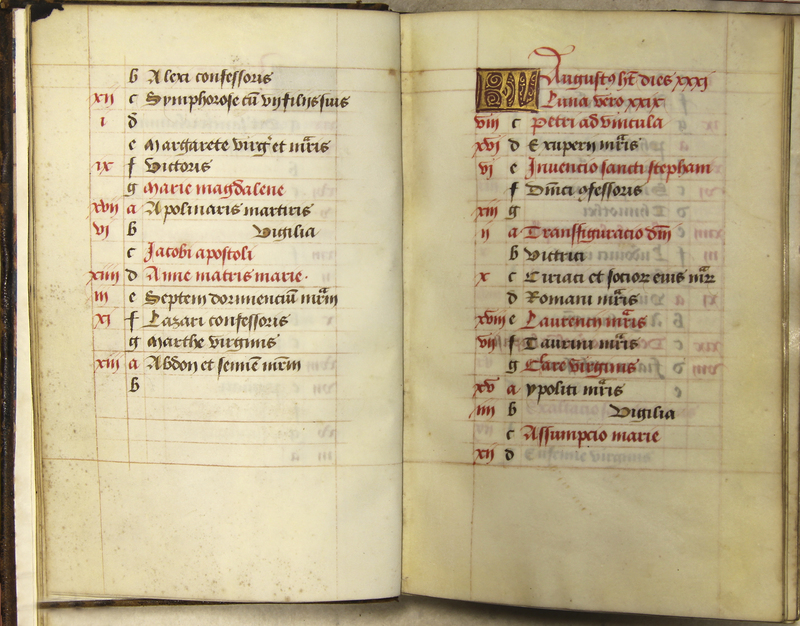 Apart from texts, prayers, and psalms, these works contained a Calendar that listed important religious events such as the Easter Cycle, celebratory Saints days, and holy days (holidays), often in red. One entry for July in this late 15th century French manuscript is the ‘red-letter’ day of ‘Marie Magdalene’, usually observed on the 22nd of that month. ___, “Book of Hours,” ourheritage.ac.nz | OUR Heritage, accessed April 26, 2019, http://ourheritage.ac.nz/items/show/10321.